Archangel Michael knows how hard it is for us to make changes in our lives. It takes big gobs of luminous blue courage, red bursts of motivation, orange stars of humor, silvery sparkles of joy and fluffy clouds of purple passion. But he knows we can do it, and he’s hear to cheer us on. Right now, in the first months of 2016, Michael is here with his loving heart, his powerful shield of protection, his chisel sharp sword that cuts away fear, and his resolve to boost us up. Are you ready? Are you willing to change your life this year? It’s going to happen whether we want it or not-the love energy is on it’s way in, permeating our every cell, even the tiniest of tiny cells, hiding out, will be filled with light, and there’s not much we can do to stop it. It’s God’s light, filling us up with love, preparing us to step into a new time, a new way of life, of loving each other, in unity, in community. There is still a lot of old baggage we need to release. So why not just let it go, when the light comes in? Let go of the sadness. Release the anger and resentment. Stop beating up on yourself. Stop judging others so harshly, stop judging all together. This is all ego stuff, that keeps us small. And we want to get big so we can hold more light! Make room for the light. Make room for the love. Quiet your mind, and think about all the people, animals, places and things you love. This action takes you into your heart and “out of your mind”. It’s a good place to be. Stay there for as long as you can. Go there often. From this place, make your plans to change your life, to allow your heart to speak loudly and tell you what it wants. If you get scared because the changes seem daunting or overwhelming, this is when you can call on Archangel Michael. Ask him to help you break down these changes into manageable steps and tasks. One step, one task at a time is all it takes, to create change. You will begin to feel a shift, your courage will get bigger, your confidence will get stronger, and your smile will get brighter! Keep going. Don’t stop. 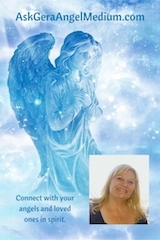 Ask more angels to join your team and help you-ask the specialists who work in certain areas to assist with your tasks. And wait, listen for their guidance. Michael will be directing them, and making sure you hear and see the signs, the little nudges pointing you in the right direction. You will get there, with your angels right behind you, and Archangel Michael in front, with his shield and sword, clearing your path. With such a powerful team, how can you fail? Follow me. I’m on this path now, and I’ll be posting more about how the year goes for me.